Following the flood, the Lord's intent was to thoroughly populate the earth with scattered colonies of Noah's descendants. However the people, in general, ignored the Lord's command and tended to congregate in population centers. The culmination of this trend was the building of the Tower of Babel under the unrighteous king Nimrod. This incident provided the Lord with the pretext to carry out his original plan. By a means not known to us, he confused the congnition process whereby we decipher speech, after which formerly known words took on different meanings, and previously familiar sound symbols became unrecognizable. This process was extremely successful in separating the masses into small groups whose natural tendency was to separate themselves from those speaking a “foreign” tongue. Even to this day we see the natural tendancy of people to associate with those of their own language which results in prejudice, discrimination, and ethnic conflicts. What we find in the Jaredite microcosm recorded in the Book of Ether was no isolated incident. It happened countless times and with numerous groups of people. Each traveling to their own “promised land”, and often being led by the Lord, until the whole continent was filled with their posterity. The Jaredites were only one such group, and it is very possible that their journey to the New World was not unique. We read in the Book of Jacob (ch. 5) of four groups that the Lord “planted” in different parts of His vineyard; some in good lands and other in not so favorable circumstances. The Jaredites were only mentioned in retrospect being those previous inhabitants who the Lord had “cut down (v. 44)” that he might plant the Lehites in their place. Who were the other “transplants”? Do we have any records of them? Will we ever? That is in the hands of the Lord. We can glean one other bit of information from the above quote from Josephus. It seems to imply that those who remained behind had a knowledge of the destinations of the various colonies, even those which “passed over the sea in ships and inhabited the islands.” If this were the case, would there be surviving histories or references to them? Might the Asian colonies have known about the American ones? There are many indications that the Asians did indeed know about their American cousins, and many researchers who think there was contact between mainland Asia and the Americas. 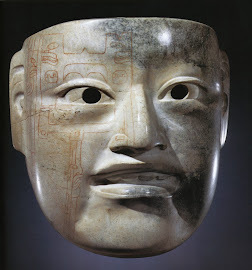 One such researcher is Mike Xu who has written a book called Origin of the Olmec Civilization. Although most main line archaeologists reject his theory out of hand, I think he has made some good points and needs to be heard on the merits of his findings, rather than being ignored out of bias. The last Shang king was defeated by his rivals and was killed in ll22 B.C. The collapse of the dlnasty forced the loyalists to flee to the East Ocean (the Pacific). 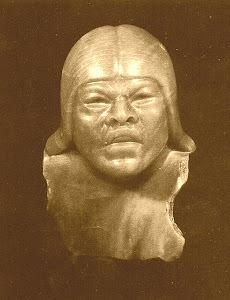 Olmec civilization suddenly emerged around or immediately after the Shang's fall. Was it just coincidence? Or is it possible that part of those 250,000 refugees from ancient China ended up in the New World? He then goes on to enumerate the identical cultural traits that are found in both China and Mesoamérica. He has identified a number of Shang characters used in ancient Chinese writings and also found on Olmec monuments in Mexico and Guatemala, and he seems to be able to interpret some of the Olmec glyphs and signs. Is it possible that the Chinese knew of the departure of the Jaredites and could have known their destination? It is a possibility, and something worth considering. It would definitely solve the riddle of the Olmec emergence. Yjanks for this post !